We have an exciting opportunity for YOU to partner with us! We believe that YOU are an influencer. Some of you have journeyed with us from the very beginning, long before Facebook, Instagram and blogs. Some of you have gotten your hands dirty in the Mexican soil fighting for families. Others of you have gotten to love and grown to know the faces of the people that are being impacted by Open Arms. Giving Tuesday is TODAY! Today is a day set aside this month every year to give to non-profits and charities. In the past, we have done some promoting and but this year, we want to go to the next level! Our goal is to raise $40,000 tomorrow. We know this is a ridiculous amount to raise in 24 hours, but we also know that when we reach for what is beyond our limits, God steps in. You might be asking yourself what we will do with $40,000. We have a BIG announcement (look for it tomorrow morning on our social media ). Here is how YOU can be an influencer for the fight for families today: HELP US SPREAD THE WORD! Share this with all of your friends, family, coworkers, church family, neighbors, the mail man, everyone you know! Share our posts on social media all day tomorrow, make a story on your social media about Open Arms and what it has meant to serve & work with us here in Mexico. Start a Facebook Fundraiser (Facebook will even match it on Giving Tuesday). We want to get the news out to as many people as possible. 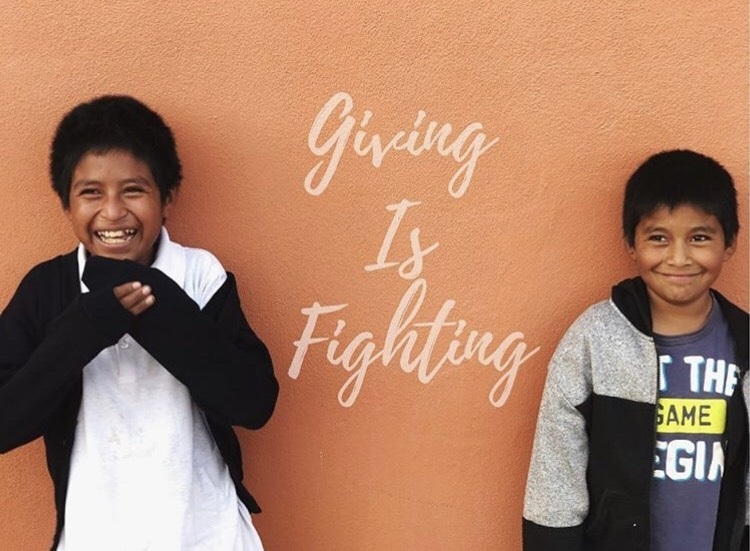 Tag all of your posts with #givingisfighting #openarmsmexico. Our ministry is growing and caring for more families, you can #fightforfamilies through helping us reach our goal of $40,000 on Giving Tuesday! All giving can be done online at www.openarmsmexico.org/donate/. Please make sure you note “Giving Tuesday”. ← Keeping families together this month means praying for Symmond’s surgery.